I am so happy I took a chance with this series. It is perfectly suspenseful, full of frightening adventure, so many questions still unanswered, and a focus on family like I rarely see in books these days. The King kids are braver than I could have ever imagined being at their age, but they still shed tears in the face of terror which I find to be so much more believable than unusually courageous kids who just thrust themselves into danger without even questioning the consequences. The trouble the Kings are facing quadrupled in this book, in just a matter of two-three days. I don't know how they even have the strength to stand, let alone continue to push forward with their goals. Additional characters were introduced that were both intriguing and scary as hell and I look forward to understanding more of their role in the King's lives in future books. This book ended so suddenly, so intensely, that I almost wanted to be mad because I am not the biggest fan of cliffhangers, but OMG, I can't even be mad because the story is just so rich. All I can think about is figuring out how to get my hands on the next book and fast! 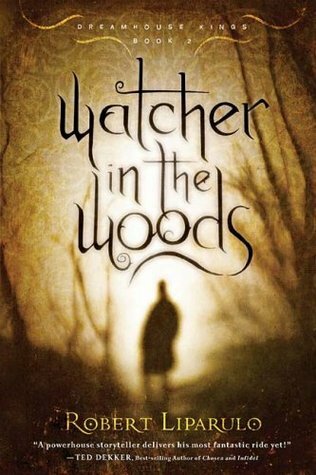 Sign into Goodreads to see if any of your friends have read Watcher in the Woods.